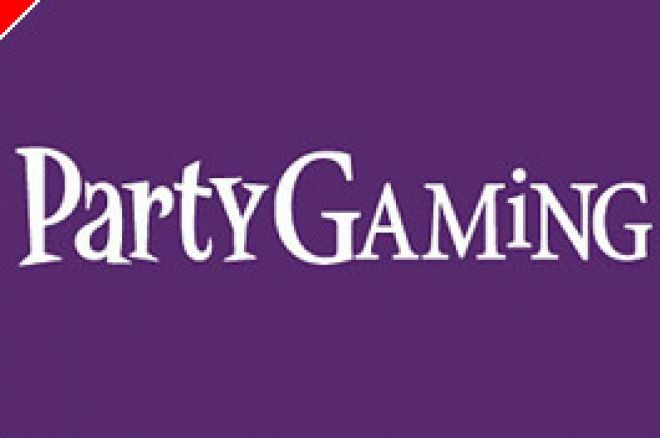 Party Gaming plc, the parent company of Party Poker and PartyGammon, has updated its investors with a trading report, the first after the huge loss of business that resulted from Party's forced withdrawal from its lucrative US market following the passing of the "Unlawful Internet Gambling Enforcement Act of 2006" by the US Congress in October. Party Gaming states that its "revenues stabilized quickly and more recently the group has begun to see improvements in a number of its key performance indicators. Excluding sports betting, gross daily revenue in the last four weeks of trading to 11th December 2006 has averaged approximately $921,000 per day and overall player volumes have averaged approximately 52,000 active players per day." Party also says that its gross daily poker revenues are averaging $721,000 per day, having hit a low of $637,000 per day after the US Act was passed. It says that this initial loss of revenue reflected the migration away from Party of a number of higher-raking non-US players to privately-owned poker sites that are continuing to offer games to customers in America and therefore, at certain times of the day, may have higher levels of player liquidity. Overall yield per active player day has been affected by the loss of higher-raking players, but this has been partially mitigated by strong levels of new player sign-ups that have averaged over 1,400 per day since the US Act was passed. In backgammon and casino, Party states that revenue has been "steady", averaging approximately $199,000 per day. In sports betting, Gamebookers has averaged a daily gross win of approximately $65,000 per day since its acquisition on 3rd August 2006, whilst.PartyBets was only released in mid-November to a limited number of Party's customers. Not surprisingly, Party Gaming says that the group's most important market is now Europe, Middle East and Africa representing approximately 80% of total new player sign-ups and 67% of total gross daily revenue. The Americas, which includes Canada, Latin America and South America, account for approximately 15% of total new player sign-ups and 27% of total gross daily revenue. Asia Pacific remains a relatively small contributor to total revenue. Party confirms that the "realignment" of the group's infrastructure is almost complete with "staff reductions and other initiatives on track to realise substantial cost savings on an annualised basis". The group's operating margins fell significantly following the passing of the US Act, but Party maintains that, as customer volumes and revenues grow once more, operational gearing should allow operating margins to increase. A total of 945 jobs have been made redundant across the group, representing approximately 41% of the total prior to the US Act being passed. The total cash costs associated with the restructuring are expected to "remain within the previous guidance given at the time of the Q3 KPI announcement on 20th October 2006". This was estimated at that time to amount to $250,000,000. As at 30th November, the group had total net cash of over $46,000,000. While all this upheaval was occurring Party Gaming has been developing other aspects of its business including PartyBets.com which is now live and being marketed to poker and casino customers. Virtual racing was also added to the PartyCasino product range in late November while PartyBingo.com was formally launched in the UK at the beginning of December. The first of Party's multi-lingual versions of Party Poker was also launched (in German) on 21st November 2006 and further languages are planned over the next few months. Finally, a multi-currency offering is expected at some point in 2007.